Ruler of all the planets, Sun is commonly called Surya and Aditya and believed to be the source of vitality. The planets move around the Sun and are dependent on its energy for existence of life forms. Sun brings success, intellect, wisdom, fame and wealth and is the ruler of zodiac sign Leo. Good placement of Sun can give rise to fame in the area, field, or even the whole world. If ill-placed in the horoscope it is an indication of physical as well as possible, mental or emotional problems, pessimistic attitude, humiliation at the hands of others and impoverished conditions of life. The Moon represents the mind indicating an individual’s thoughts, feelings, expressions etc. Moon is beneficial to those born in ascending moon cycle and disastrous to those born in descending moon sign. The Moon also possesses dominance over the waters and liquids within our bodies. The Moon is responsible for growth, fertility and conception. The Moon rules Cancer Zodiac sign and is strong there in its own sign. It is powerful or exalted, in Taurus and fallen, or debilitated, in Scorpio. The zodiacs Jupiter, Sun and Mars are the Moon’s natural friends. Sun being the king of solar system, Mars is the commander. Mars indicates martial powers, martial arts and influences energy, drive, administrative spirits and leadership abilities. Both Sun and Mars produce heat, difference being Sun has a life preserving heat and the explosive heat generated by Mars might endanger the lives. Mars rules over the bone marrow and generation of red blood corpuscles, human blood, and the disease resistant power of human body. Mars rules Aries, openly aggressive, and Scorpio, secretive in nature. Mercury is a neutral planet that changes according to its placement in signs and houses. It is the nearest planet to Sun and thus is restless, fast changing and fickle in nature. It rules education, writers, businessman, intestines, lungs and nervous system. Both Jupiter and Mercury represent human intelligence, Mercury indicates an immature side of intelligence as compared to the more mature one of Jupiter. It rules all means of communication and intermediation. Body parts indicated by Mercury: Mercury rules over the arms, ear hearing system, and the nervous system. It is a dual natured planet and owns the dual natured signs, Virgo and Gemini. Also known as Brahaspati or Guru, Jupiter rules both Moon and Sun controlling the movement of the planets. Responsible for luck and fortune, the planet brings success, fortune and fame. The largest planet in the solar system, Jupiter it is associated with expansion, growth and and opportunity. The position of Jupiter in ones’ chart serves as an indicator of one’s faith, confidence, buoyancy, higher mind, wisdom, optimism and generosity. Jupiter’s action is to expand, preserve and increase on all levels. A well placed Jupiter is associated with the spiritual, philosophical and intellectual realms. The ill placement of Jupiter might lead to exaggeration, delusions of grandeur and depletion of energies. Jupiter is the ruler of the fire sign Sagittarius. Also known as Shukra, Venus governs beauty, wealth, romance, passion, music. Venus is about pleasure- love, romance and harmony in our emotional attachments, marriages, friendships and other unions. Venus is content to spread happiness and tenderness, all the while teaching us how to love and appreciate others and the things that we possess. While Mars represents the youthful male in our solar system, Venus is the charming princess. Venus rules over eyes, nose, chin, throat, sexual organs, kidneys, bladder etc. A badly placed Venus indicates dysfunction of these parts. Venus is inextricably linked to refinement, culture and grace. Having feminine energy, Venus rules both Taurus and Libra. Actually an imaginary planet, Rahu is instrumental in strengthening the power and can convert enemies into friends. It is popularly called the Planet of Success. It is a node positioned at the meeting point of earth’s trajectory around the Sun and the Moon’s trajectory around the Earth. Rahu is believed to represent the head of the demon. When Rahu, Sun and Moon are in the same zodiacal longitude, solar eclipse takes place. Being a shudra graha, it rules over thieves, witches, magicians, venom and poison, snakes and thorny bushes, jails and isolated places, unhabitated places, hypnotists etc. As Rahu is not a real planet, it does not rule any zodiac sign. Ketu is an imaginary planet or a node that is positioned where the earth’s trajectory around the Sun and the Moon’s trajectory around the Earth meet. It is believed to represent the tail of demon. Both Rahu and Ketu are the parts of the same danava(demon) but are 180 degree apart. When Ketu, Sun and Moon lie in the same zodiacal longitude lunar eclipse takes place. Those ruled by Ketu, are secret adversaries and relates to people in pharmaceuticals industries, doctors and astrologers. Both imaginary nodes are the mysterious forces and show karmic and spiritual influences in the birth chart. Ketu also does not rule any zodiac sign since it is not a real planet. A cold and dry planet, Saturn rules over the hard parts of human body – bones, teeth, knees and ears and indicates recurring health problems. 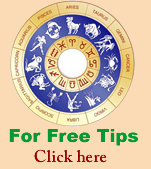 Saturn makes its subjects work in secondary positions, doing dull routine and ordinary jobs. Various professionals like: Also historians, archaeologists, covators of museums, workers in refrigeration factories etc. are ruled by Saturn. Saturn commands to get to hard work. The planet gives huge importance to discipline and responsibility. Saturn with masculine energy rules Capricorn and Aquarius. The planetary positions have great significance in the lives of all of us. The considerable influence of these planets plays an important role in our lives. All planets have distinct characteristics, both positive and negative, which help in controlling or governing the movements of our lives. © NinePlanets	2011	All Rights Reserved.